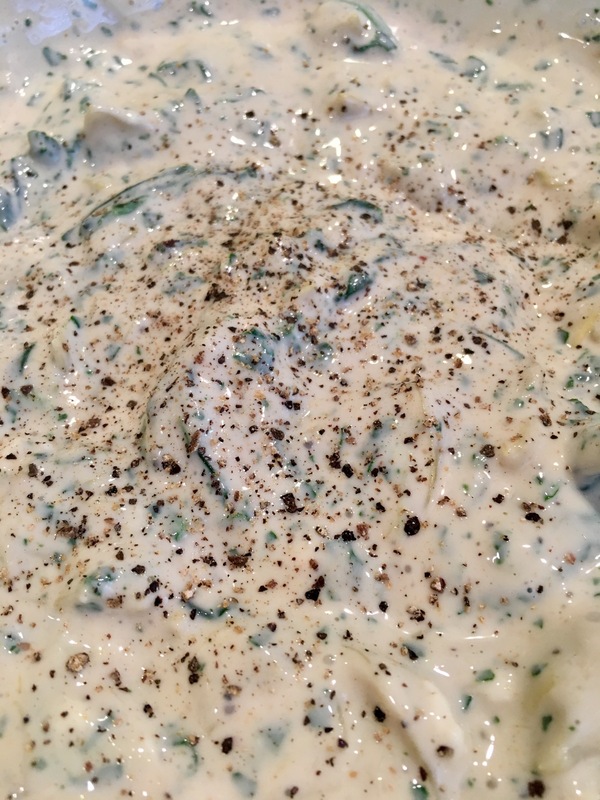 Simple Dips and Baked BBQ Chicken – Eat, Drink, and Go! Yay three day weekend! Plenty of opportunities to cook and eat good foods. The weather for our gathering yesterday was iffy, so I didn’t count on grilling. Instead, I did an all-indoor-made spread. 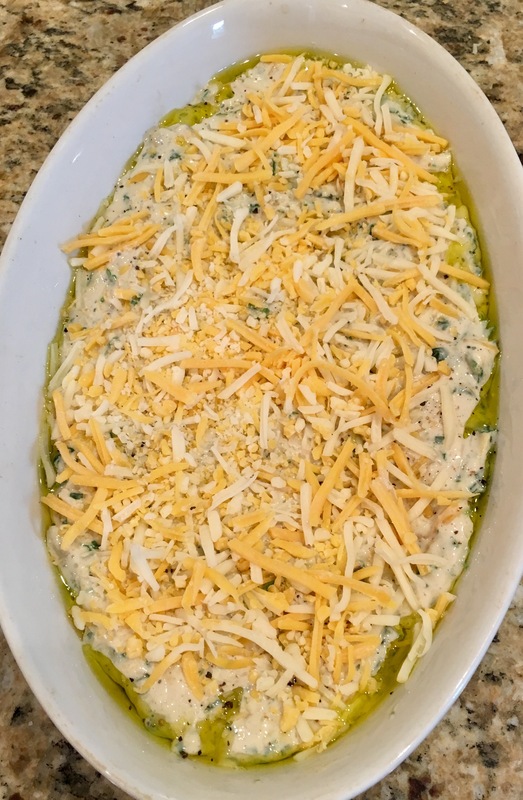 Starting with one of my favorites – a spinach and artichoke dip. I make this different ways, and it’s very easy to adapt to what you’ve got on hand. 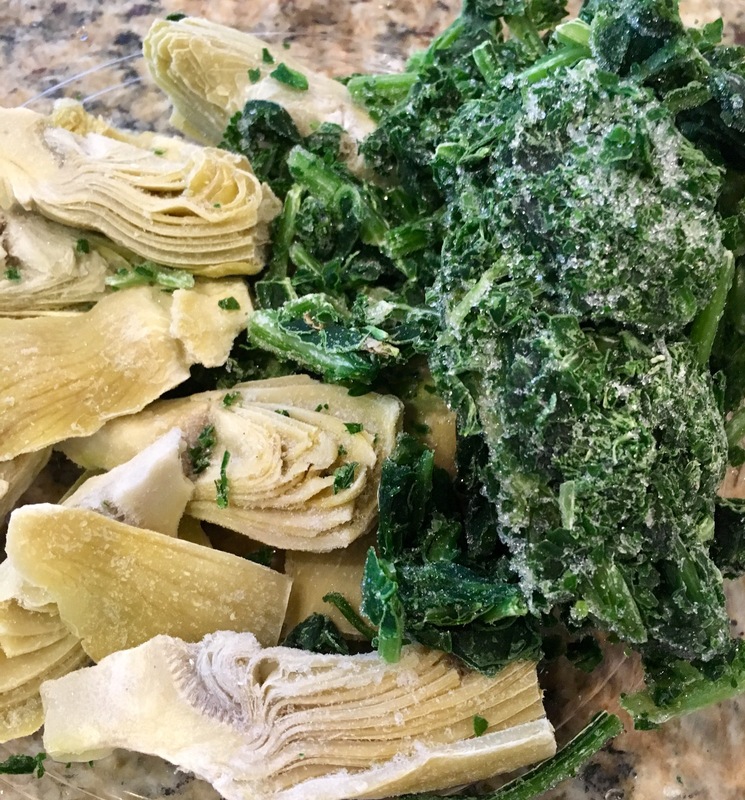 I went with frozen artichoke hearts and spinach. Thaw out in the microwave and cut it all up into small pieces. About a cup and a half of each of these items. 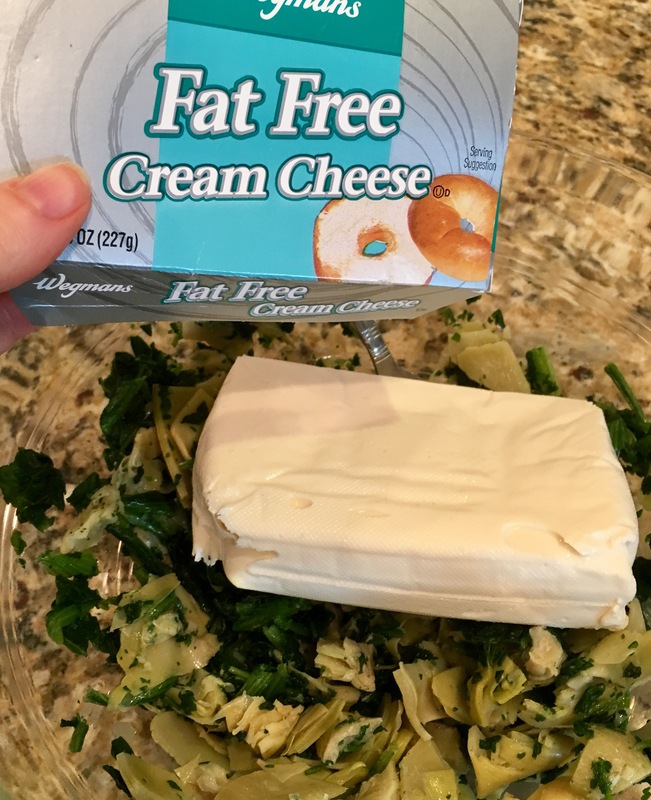 Then add one brick of cream cheese. 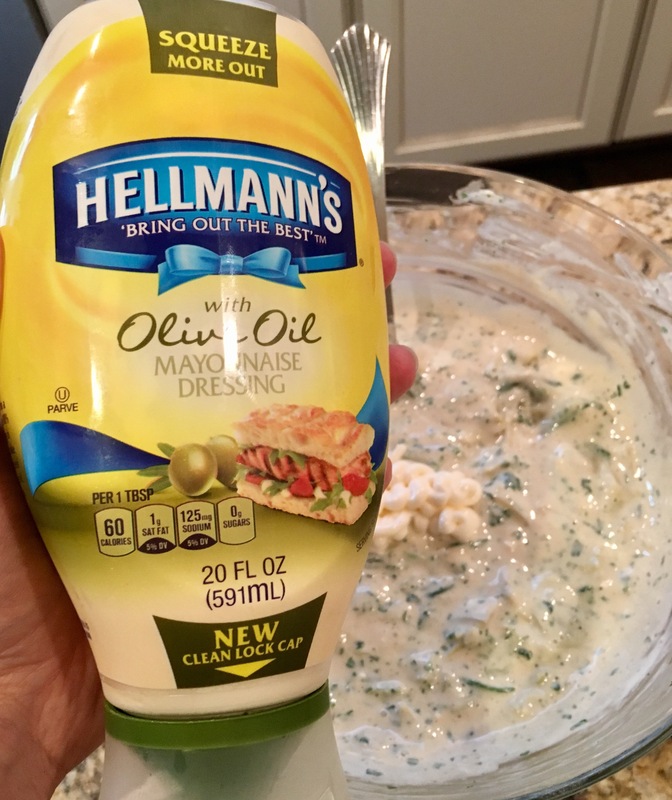 I use the nonfat kind because I don’t think you can really tell a difference, so save the fat for the cheese! 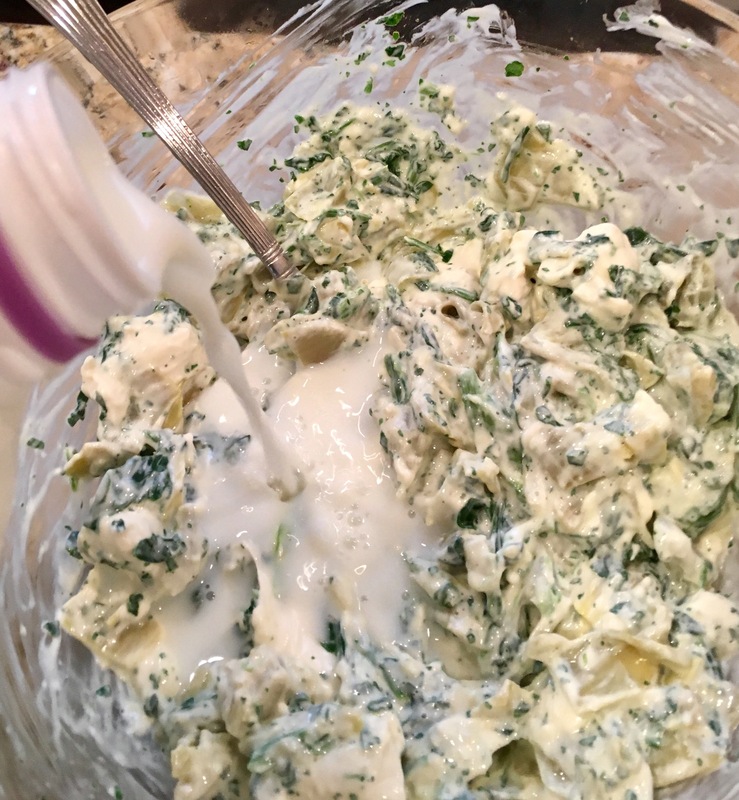 Mix in the cream cheese and then thin it out with about half a cup of milk. 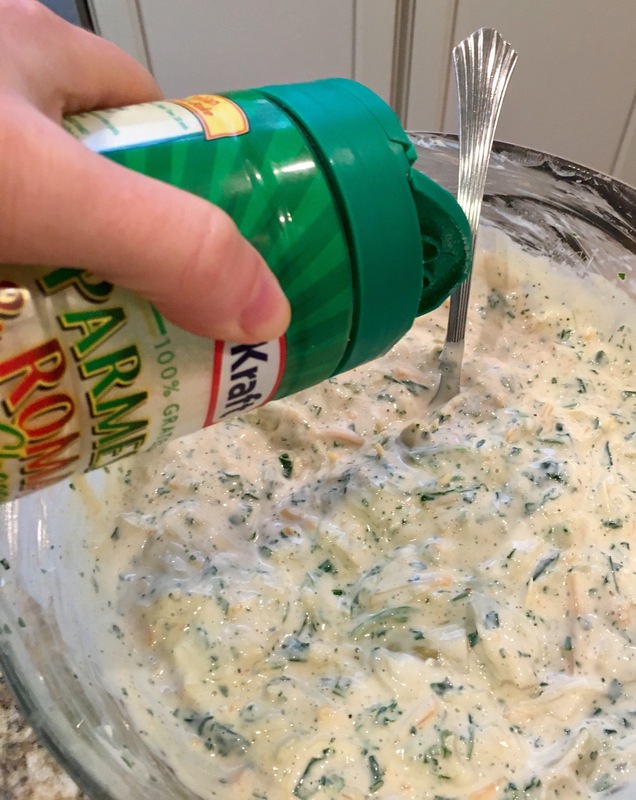 Then start adding flavors! 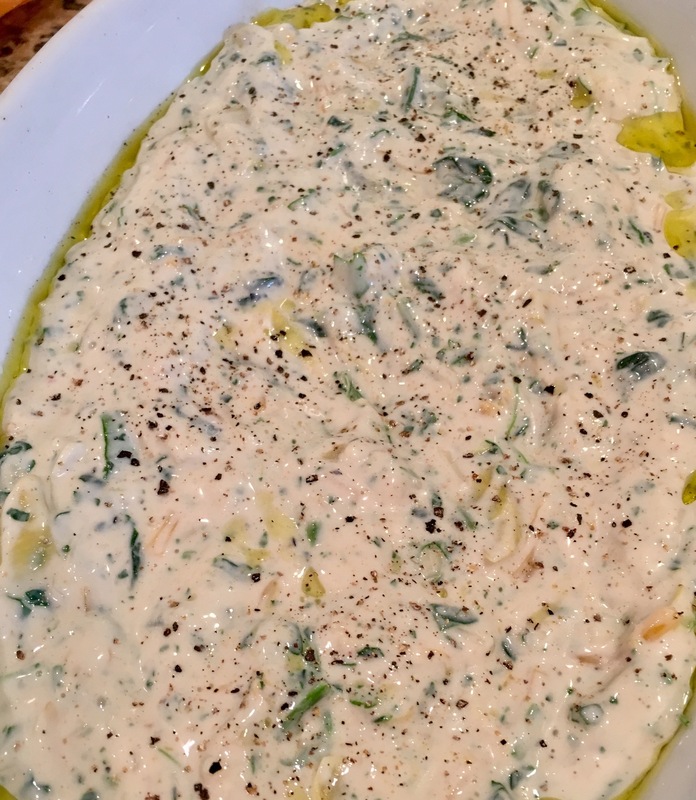 I used a little bit of olive oil Mayo (one tablespoon), some Worcester sauce, and a garlic spice from Spice Cave. Mix all this around, but keep in mind that here is where you can season creatively. And like I said, I do it different every time! Add a little salt and pepper to taste. Then I go with at least two cheeses. Typically a melty one (Colby jack here) and a flavorful one (Parm). 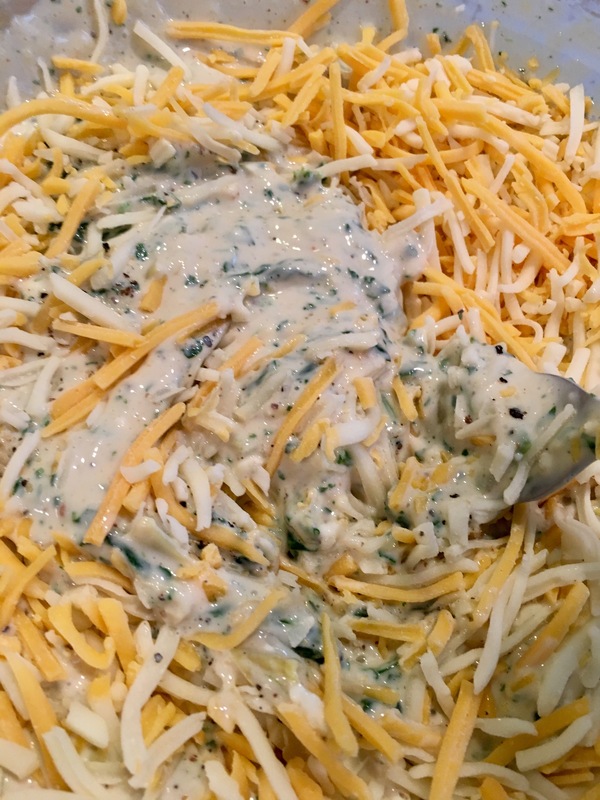 Mix it all up and then spread in an oven safe baking dish. Always add extra cheese on top. “That’s too much cheese”…said no person ever. 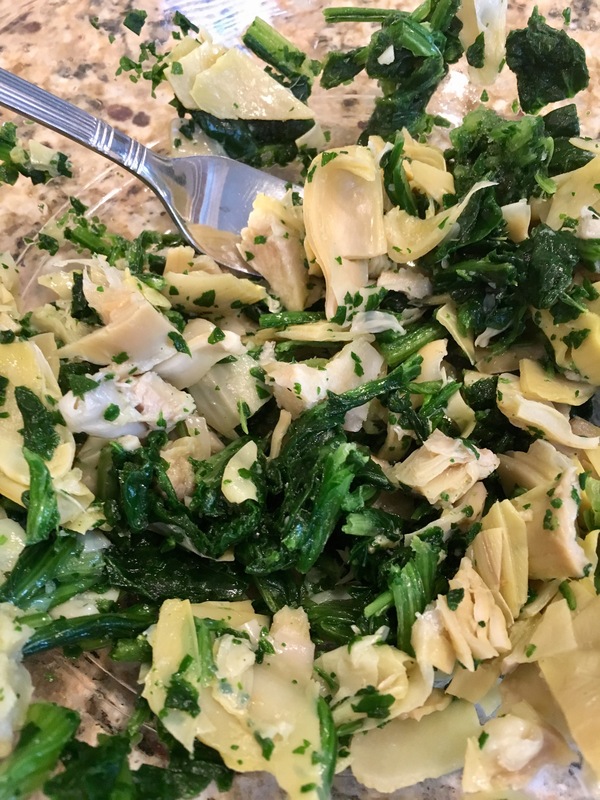 You can bake this for a long time – like 40 minute on 350 – giving you plenty of time to put other dishes together. Like a lovely guacamole! I started with about four small avocados and a lime. 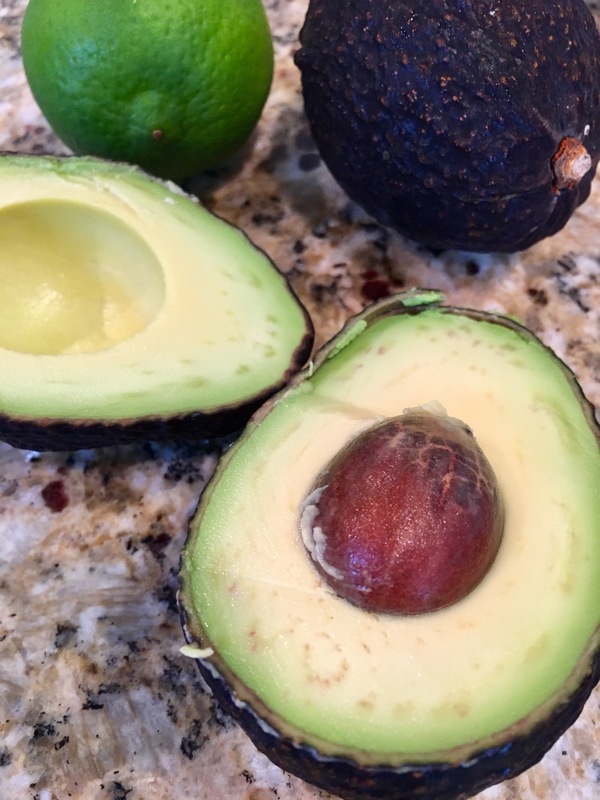 Be careful – apparently there’s this new injury called “avocado hand” where you cut into your hand instead of the avocado. 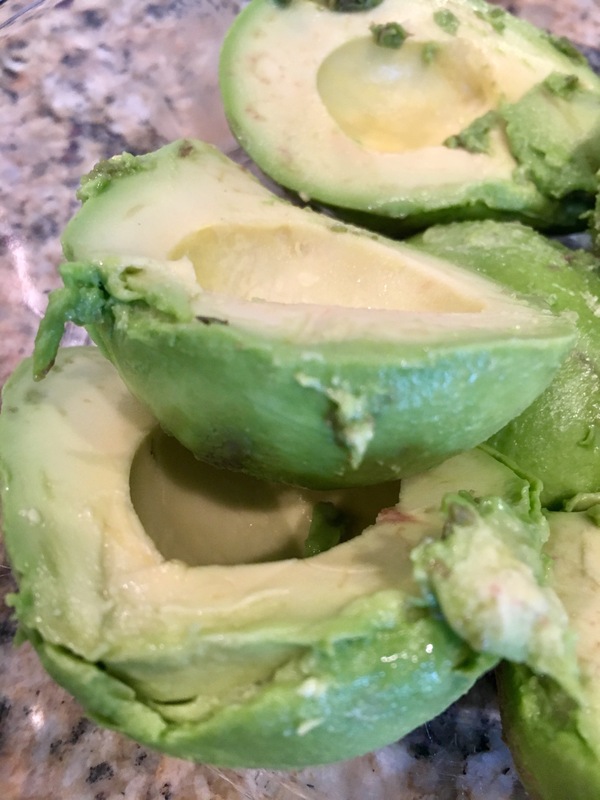 I hurt myself in the kitchen now and then, but come on people – so many injuries from avocados that there’s a name for it?!? 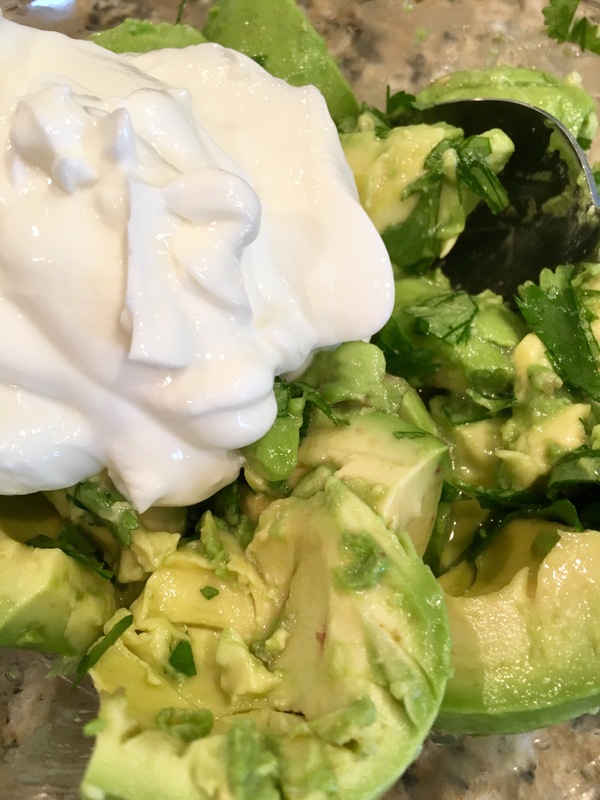 Scoop out all that goodness into a bowl to mix with the juice of one whole lime, some chopped fresh cilantro, and then I add some nonfat Greek yogurt for creaminess. 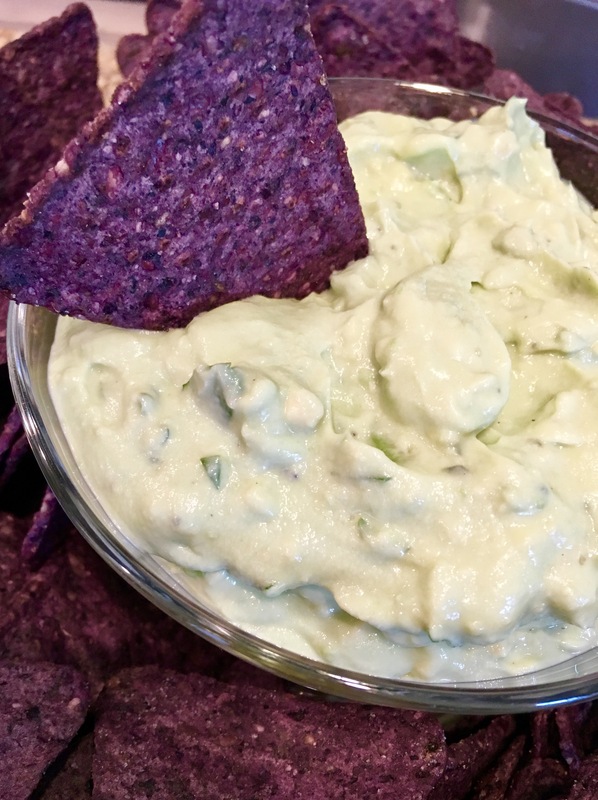 Blend with a fork, but leave some good avocado chunks in there. Mmmm. Salt and pepper to taste. I’m sure there are a million guacamole recipes. For me, it’s all about the avocado. I could just do it plain avocado style and be totally satisfied. This is one wholesome, all-the-flavor-you-need kinda food. And good for you too!! But this is one way to guac it up!! 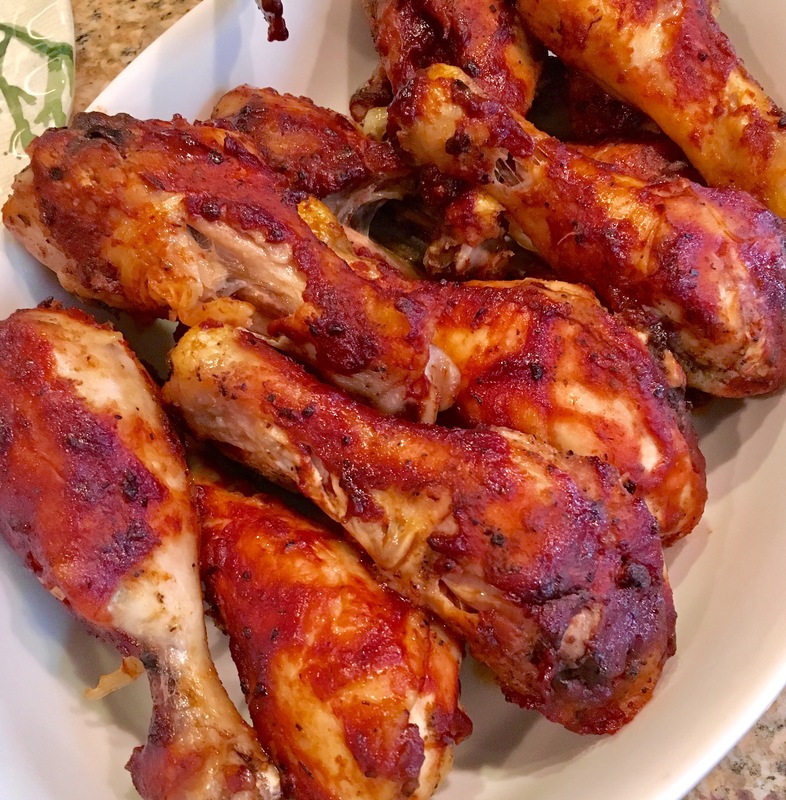 I also made some yummy baked BBQ chicken. I like to bake it for most of the cooking time with a dry rub to get the flavors soaked in. 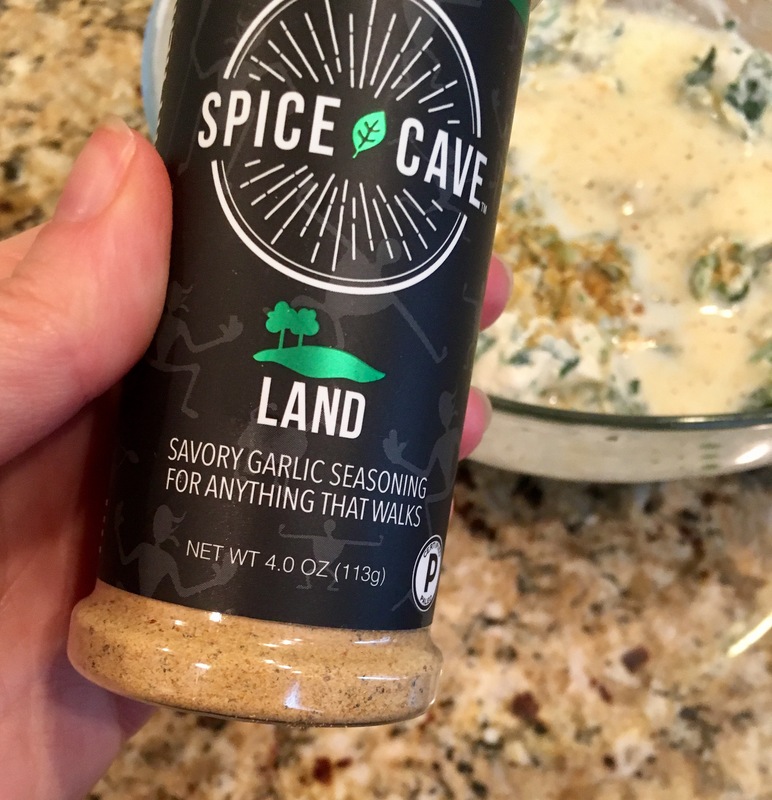 Same spice I used in the spinach artichoke dip, Land from the Spice Cave. This is a very versatile seasoning. Nice garlic base with Himalayan salt and some other nice flavors. http://www.thespicecave.com. I baked the chicken at 350 for about an hour. 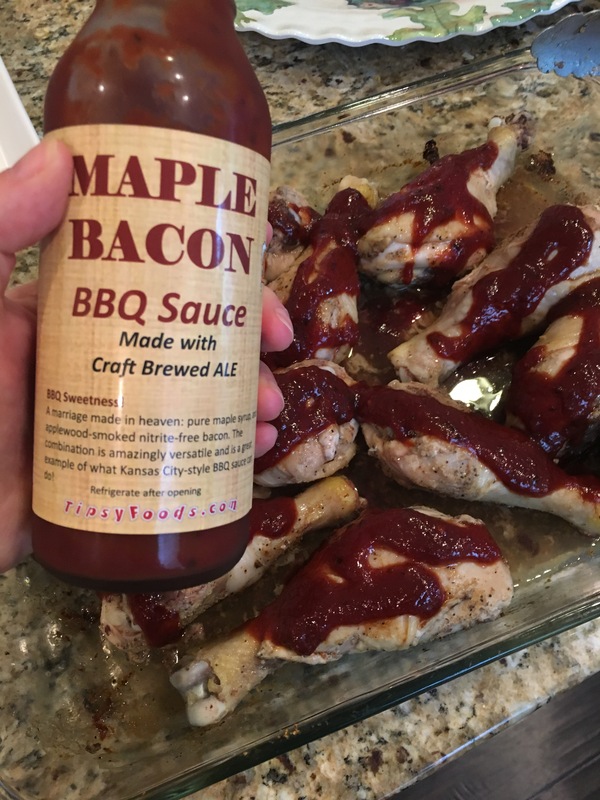 Then, I doused it with a delicious BBQ sauce from Tipsy Foods, a Maple Bacon BBQ Sauce. Can’t go wrong there!! 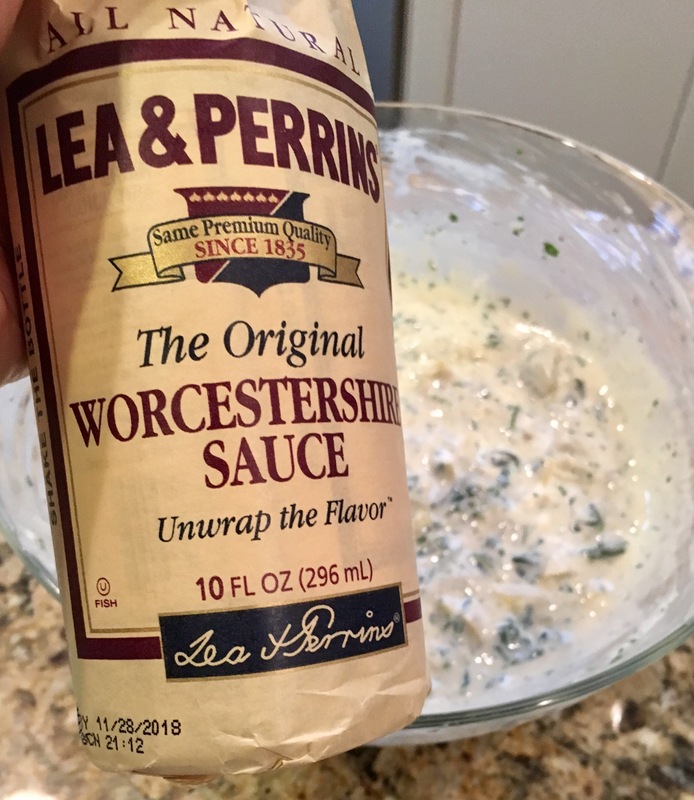 This sauce has a nice tangy sweetness with hints of maple and bacon and can go on anything! www.tipsyfoods.com. Bake for another 20 minutes or so. Yummm!! 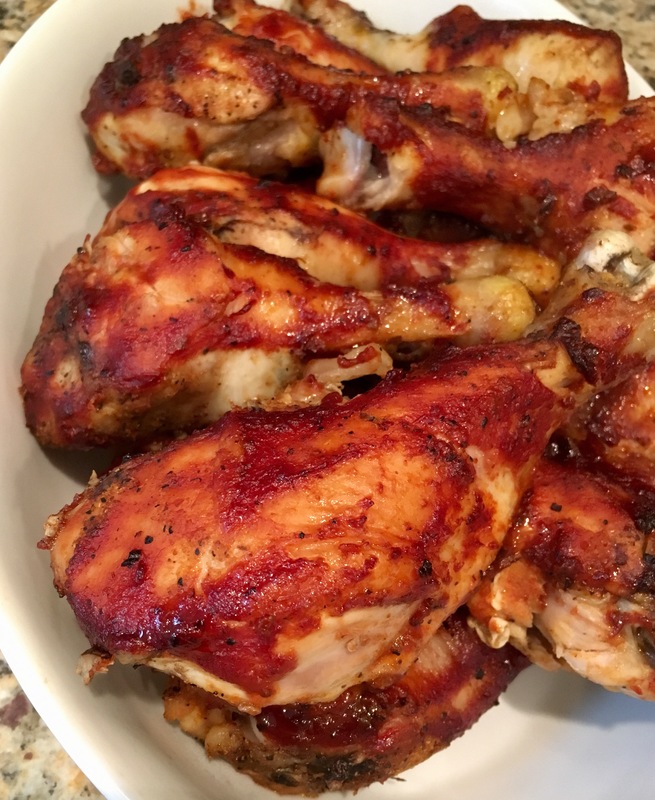 The good thing about dark meat, like drumsticks, is that the meat doesn’t dry out and, instead, just soaks in the flavors you add. It’s why I grill with pretty much only the thighs and legs these days instead of the breasts. 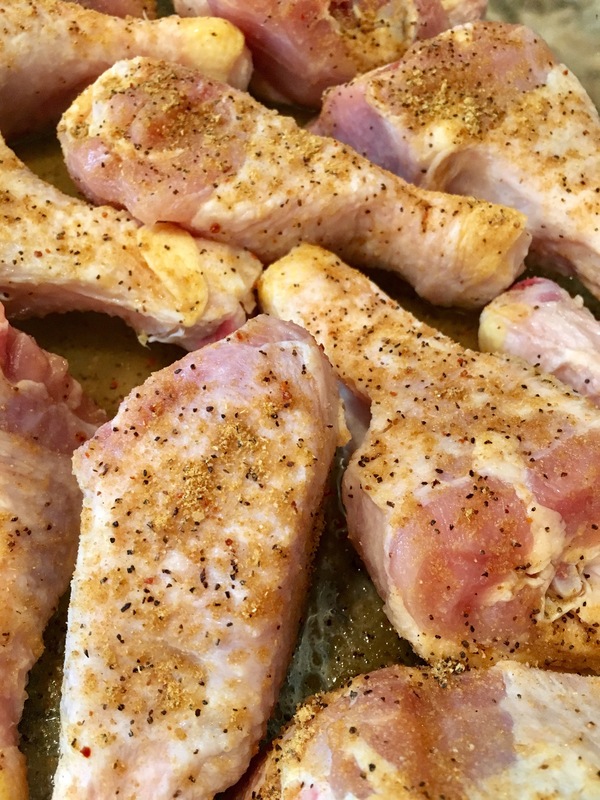 The bones in drumsticks also help you tell when it’s done – the meat will start pulling away. The chicken was a big hit. I made enough food to feed an army, so we have plenty leftover for repurposing during the rest of this nice long Memorial Day Weekend!! Thank you to all the veterans out there! The land of the free BECAUSE of the brave. Maryland Crabs and Crab Pizza! Looking at your step by step photos, I feel like I could actually make these delicious sounding and looking dishes!!!! Thanks Go Girl!